We know it is the time of year for all the rent-payers being staged. 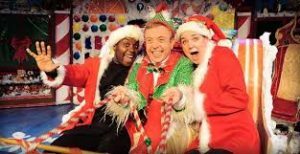 You may have seen The Nutcracker or Christmas Carol many times, and maybe even have seen this show in the old film from the 1980’s, or on TV. But, this production is one you really will want to take the kids to see. Susannah Jones plays the wife and mother to two young lads. 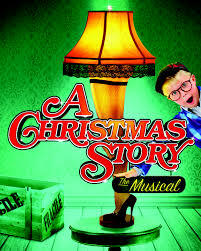 Ralphie, is the center character and it’s about what he wants for a Christmas gift. This role is played alternatively by Austin Molinaro and Myles Moore. And Ralphie’s brother, Randy is played by Arick Brooks. In all there are more than three dozen players and great sets, costumes, special effects and live music. The young actors/dancers/singers and the Bumpus hounds, bring to mind the old adage about why adult actors never want to share the stage with animals or children. These youngsters are nothing short of inspiring, and everyone from 8 to 98 enjoyed their presence. The evening shows are at 7:30 so you can get the kids (or oldsters) home by 10:30, as it runs about 2 hours with one intermission. But, get there early as they now have a security line a bit like being at the airport. Ralphie may want a BB gun for a gift, but do NOT plan to bring one for him. 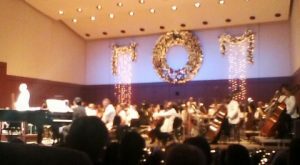 The ASO brought down the house with their Pops Orchestra under the baton of Michael Krajewski, and with performing guest artist, Byron Stripling. Stripling is a renown trumpeter who has played jazz and other genres around the country. One aspect of his audience appeal is how well he works the house with his comedy routines and interaction. In this weeks concert for the holidays, they did 14 different numbers, many of which were akin to being at Preservation Hall. Especially with numbers such as Minnie the Moocher and St. James Infirmary. And, of course, they played off at the end with When the Saints go Marching In. Byron, who serves as Artistic Director for the Columbus Jazz Orchestra, brought along one of his young piano geniuses, Micah Thomas, who was right downstage center, and was great when he ran through some of the ragtime numbers. The Tribute to Louis Armstrong, which was the theme of the concert was one that Satchmo would certainly have appreciated; as did a full house audience. It was a great start for some Happy Holidays. 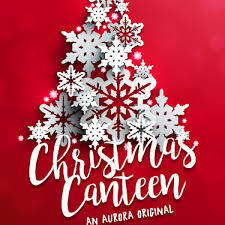 For the 21st year, the Aurora Theatre has staged their canteen performance. Directed by Anthony Rodriguez and Jen McQueen, the cast of eight singers, and dancers delight the audience with the customary holiday tunes, but also some tributes to the men and women of our military and some other numbers that don’t shout out Merry Christmas, but help to get the message across. Brandon O’Dell, who is in the cast is also the writer, and co-director Jen McQueen is also on stage. Ann-Carol Pence is on the keyboards and also directing the music, as well as handling a couple of numbers herself. Lyndsay Ricketson Brown, Diany Rodriguez, Candice McLellan do some great trio numbers as well as joining the guys, Cecil Washington, Jr., Cody Russell and Christian Magby when they do their full-cast ensemble numbers as well as singing a cappella. They run through more than 30 standards, with a smart stage setting, some great circus acts, and plenty of humor. It is cabaret style with the band on stage, and they work the audience as if everyone were very close. While there are many of these type of year-end shows being offered around town, and while some may feel as if they were visiting the Hallmark store; I have to say that over and above the fine quality of the performance, that what impressed what is left of my mind, is that regardless of one’s religious affiliation or lack thereof, that the message is clear. Life for everyone on this planet could be better if we could learn to accept and protect each other without judging predicated upon flags, colors, languages, or social structures. Especdially with what is going on in the world today, and what this country has gone through in the past few weeks and the fears of what is yet to come; we need to understand that hating another is akin to ingesting poison in the hopes it shall kill off somebody else. So let us each find a way to be nice to somebody we may never have met before. The turkey will soon gone and the lights will shine on the trees and it’s that time when the malls are full of Christmas Carols, the retailers are hustling you to run up your credit card bills, and most of us just wish that things would change for the better for everybody all around the world. Especially, after our somewhat eerie election. Years ago playwright David Sedaris actually did work as an elf at Macy’s. His humor is great; albeit is loaded with single entendres and occasionally loaded with expletives. So, this is not for the little people, nor the prudes among us. Directed by Jeff Adler, they have an outstanding cast who all return to reprise their roles. Crumpet, the hard-up loser who has little choice other than to try to get hired as an elf at Macy’s, is played for the eighteenth year by Harold Leaver. He is the perfect Crumpet as he blends the original monologue script with some updated ad-libs and works the house by interacting with some of the audience. Who says that accountants can’t have a sense of humor? Enoch King returns as Crumpet’s sidekick and maybe a half a dozen other cameo roles, much to the delight of the audience.. And, Lala Cochran is the female sidekick as well as agent provocateur, in many guises. And two interns get to share center stage with them in several schticks. Each of these players “owns” their roles, and has played them on a yearly basis. But, WTF? Hasn’t Chris Kayser come on as Scrooge for umpteen years? It’s a standard; akin to going to see the lights at the Botanical Garden or the Nutcracker Ballet. Who says older folks can’t have fun? The Ferst Center at Georgia Tech really had a winner this week, with the fantastic dance troupe, iLuminate. The company uses incredible technology associated with dance to weave a tale of a young artist seeking to connect with the real world. The story really isn’t the essence of the show, as the show itself is so incredibly unique in so many ways. If you recall having seen Blue Man Group and thinking that was off the edge, then you would love this group if you ever get a chance to see them. 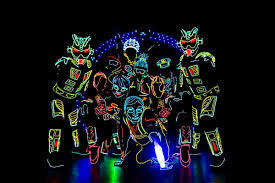 Unlike any other dance group you have ever seen, this is like watching electronic robots glow in the dark and move in a way that real humans would never be able to do; except that these are real humans, and real artists. I’m sure you can Google them and find some Utubes. The Ferst Center was pretty much a sold out house, and everybody there from 6 to 96 was having a grand time. This company has worked with many major corporations, has been involved with education programs for youngsters, been seen in Asia, Europe and around the world. The photo above is just one peek at how they come of on stage. What more can I say? Other than, don’t miss a chance to take in this incredible performance should you ever see them playing someplace when you are there. This work by Ben Johnson is rarely performed, and according to the theatre company presenting it to us, this may, in fact, be the first time it has been produced in the western hemisphere. It takes us back to the days in Rome when Caesar Tiberius ruled. 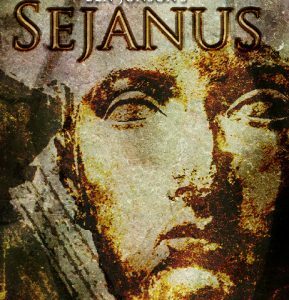 And Sejanus, the principal of the story was one of his Praetorian Guards. While he started off as an equestrian he rose to great power, until he got on the wrong side of the wrong people and was put to death in 31 AD. The show is done in the pre-Shakespearian manner with an all male cast. Kyle Crew is Tiberius, and Thom Gillott plays Sejanus. Ty Autry does the drag numbers for Livia, the wife of Tiberius and Agrippina, a widow lady, as well as 2 other roles. Brent Griffin, who directed this opus, also is on stage as the powerful Sertorius Macro. The story is as confusing as anything set in ancient Rome may be. But, on the other hand, it sort of rings a bell where we find the egocentric leaders bent on holding ultimate power. And it made me think of an old French adage which says that the more things change, the more they stay the same. Yes, we may have different laws, and we don’t send people into the Colosseum to be attacked by lions. But, to this day we may impose harsh penalties upon those who fain would not do our bidding. The show is staged without any set, as the play’s the thing. The cast of ten players come and go with great ease and energy; and the music plays on by Matthew Trautwein as one of the inner circle. This is the premiere of a new show created by actor-playwright Daniel Carter Brown. He’s quite obviously a young rising star with a bright future. The play was designed with this venue in mind, since the stage setting is just what he wanted for it, and it works quite well with the cast of five. Imagine checking in to a hotel where there are no employees, and everything is on the honor system. You pay as you go, clean up after yourself, and behave; or you will get punished. How, why, and by whom any such punishment is delivered is what the tale is about; and it does draw the audience in from the first minute. Marigold (Karen Ruetz) is a woman staying at the hotel who seems to be into various abstract theories. Wayne (Jeffrey Sneed) is a writer who is also staying at the hotel and is totally into himself. He doesn’t need anyone else bothering him. Zoe (Melissa Rainey) shows up thinking it may be a normal stop along the road in Iowa, only to find that she is in some kind of weird place. But, things get a lot weirder when Ryan (Matthew Busch) and his sister, Trish (Ali Olahausen) show up. Stress starts to run everyone’s life, and things continue to erupt into scenes. Yes, there are plenty of expletives and yelling; but nothing you’ve not heard and seen before. Carolyn Choe directed this work, and if comes off just fine. You sit there trying to figure out where things are going, but you will be wrong. I do understand that when writing a story it is always a lot easier to start a plot then to wind it up at the end. And, it could be that the final scene of this one could use a little tweaking. However, you will see that all does come more or less right, in the end. You don’t have to be a student to enjoy the first class offerings at the Ferst Center for the Performing Arts at Georgia Tech. 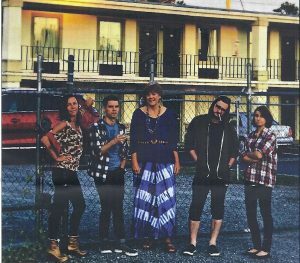 They play to the community, and while their productions are usually one-nighters, they’re well staged, with a fine auditorium, easy parking, and all the amenities. Friday night they presented Joe Gransden and his 16 piece band, playing many of the numbers that were standards in the big band era starting in the 1930s. Music played by groups such as Count Basie, Tommy Dorsey, Glenn Miller, Benny Goodman and so many others. The music plays on to this day. Gransden’s band has a full brass section as well as reeds, along with percussion, bass and piano; and each and every one of the musicians is a first rate professional performer. They closed out the first set with Louis Prima’s signature opus, Sing, Sing, Sing; which brought down the house at Carnegie Hall when it was played by Benny Goodman in his 1938 jazz concert. Every player gets a riff, and every one does it first class. If you like jazz and/or big band music and songs where you can actually understand the words being sung, then this is a band you want to see. You can Google the band and you can also find them playing each first and third Monday at Café 290 in Sandy Springs. In this time of stress around the world, we have a chance to recall an unusual event during WWI when soldiers in the trenches called a truce for a night and celebrated Christmas without killing one another. 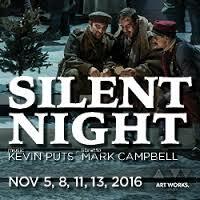 This opera with music by Kevin Puts is based upon some real events which took place on the Eastern Front in 1914, when 100,000 troops put their guns aside, met up in open spaces, and celebrated in union. It was not without complaints from their superior officers and many were subjected to some penalties. The story was made into the film Joyeux Noël in 2005, and when this opera premiered in 2012 the composer was awarded a Pulitzer Prize, although to many of us the score is instantly forgettable. The stage is set on a 3 tiers, where German, French and Scottish troops are entrenched. It is sung in several languages, all of which are shown in the super-titles, so you can see what they are singing, even when in English. As a scene at the front lines, the cast is all male except for one schöner machen, Ava Pine. With what we’ve just endured with the election, as well as fears of terrorists attacking, and climate change and all that other angst being tossed at us on a daily basis, one might think this opera is timed just right to remind us that we’re all people; regardless of appearance, language, nationality, or any other aspect. And if people can behave reasonably with one another, that life can be better for all. Let us hope that our elected officials get this message. The votes are in, and the winners are announced. And they gave us a lot more enjoyment than those politicians we’ve been inundated with. The ceremony held last evening was like a red carpet event, with hundreds of theatre people saluting one another. While there are dozens of categories, the general audiences won’t fully relate to some of the off stage efforts, for as we know, the play’s the thing. 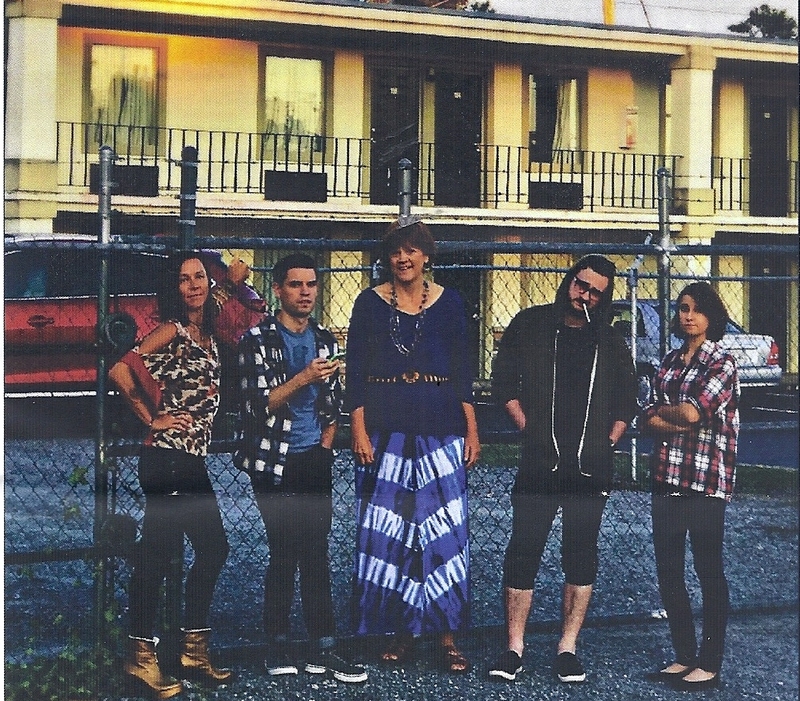 The Alliance walked off with 8 awards, the largest number of any of the local theatres. Aurora scored 7 and Serenbe Playhouse garnered 6. So, if you haven’t been a patron of these fine establishments, you may wish to broaden your horizons. The Outstanding Lead Actress in a play was Mary Lynn Owen for her role in WIT at the Aurora Theatre; and the Outstanding Actress in a Musical work went to Niki Badua for Miss Saigon at Serenbe Playhouse. Best Lead Actor in a Play was awarded to Kenny Raskin for his work in I’m Not Rappaport at the Aurora, and best Lead Actor in a Musical went to Kevin Harry for his cutting performance in Sweeney Todd at Actor’s Express. And the productions which received the most awards are Miss Saigon (6), In the Heights (3), I’m Not Rappaport (3), The Lion, the Witch and the Wardrobe (2) and The Toxic Avenger (2). I truly hope you got to see most of these shows. We in the Greater Atlanta area are especially fortunate for all the good works provided to us by our very active and talented theatre arts community. So, while the Fox may be the place for some to see and be seen, let us not have a blind eye to the delights which abound throughout our region. Let’s all salute them and yell Bravo!